Due to the sheer size of an 18-wheeler, trucking while tired is especially dangerous. That’s why it’s important for truck drivers who travel across North America to sleep during their daily time away from the wheel. 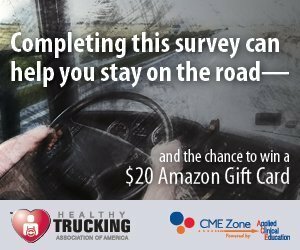 By taking advantage of off-hours, truckers can stay alert and build a healthy lifestyle. Above all, truck drivers must understand the dangers of poor sleeping habits and how to beat them by getting a good night’s sleep. By not sleeping well, driving becomes needlessly challenging. Poor sleep patterns decrease reaction time. They also increase the likelihood of confusion and distraction. But when tired people sit behind the wheel, they don’t just put themselves at risk. Sleepiness plays a role in almost 100,000 car accidents and 1,550 deaths each year in the United States, according to the country’s National Highway Safety Administration. 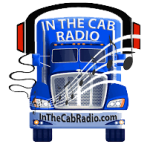 A 2006 study by the U.S.’s Federal Motor Carrier Safety Administration surveyed long-haul truck drivers about how tired they feel while working. In at least half their trips, a third of drivers said they felt drowsy and struggled to stay alert. Getting a good night’s sleep must be a priority for drivers. Doing so is the only way to improve these troubling statistics. Eat small dinners. After a long day of hard work, it’s tempting to reward yourself with a rich, heavy meal. But fatty foods take a lot of time to digest. With your stomach working overcome, it’s hard to fall asleep. Eat vegetables and lean proteins instead. Read a book. Before you try to sleep, it’s best to avoid artificial light. Turn off bright lamps and don’t look at a TV, cell phone, or computer. They trick your brain into thinking it’s daytime. Reading with a dim light will ease your mind into a restful state. Practice deep breathing. When you crawl into bed, get comfortable and close your eyes. Take big breaths through your nose and slowly exhale through your mouth. Make each breath deeper than the last. This alleviates stress and lowers your heart rate. You’ll quickly fall asleep. Take a quick nap at truck stops if you’re still tired the next day. A 10-minute snooze makes you more alert, improving reaction time. Your body won’t enter a deep sleep mode, which means you’ll wake up without feeling groggy. These four tips will help you capitalize on your off-time by sleeping better. All shipping and logistics companies should value the safety of their drivers, but using the tips is up to you. On top of being happier and healthier, they’ll help you stay out of dangerous highway situations.